In The Nation Jonathan Schell laid to rest any comparisons between Clinton’s crimes, such as they were, and those of Richard Nixon. 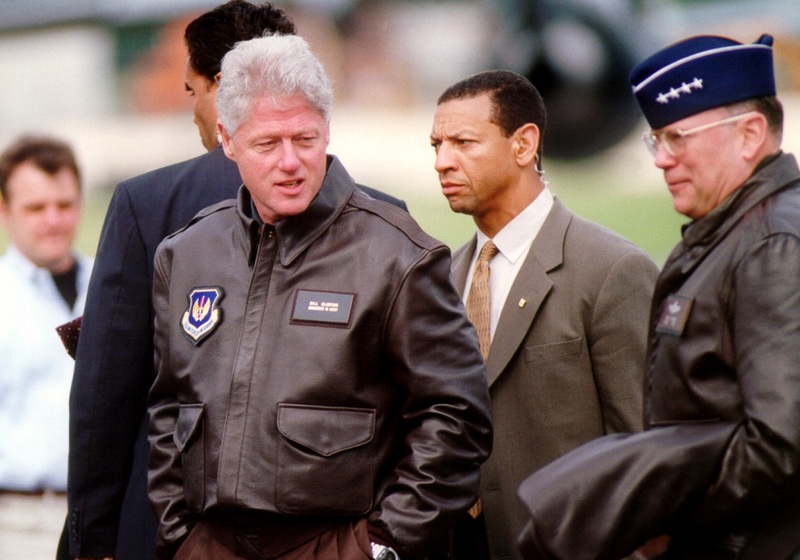 Bill Clinton being escorted to Ramstein Air Base, Germany, in 1999. Photo via Wikimedia Commons. No journalist of the last fifty years was able to historically contextualize the news of the day as thoughtfully, gracefully or profoundly as the late Jonathan Schell. During the Bill Clinton’s impeachment trial, Schell wrote a regular column for The Nation called “The Republic on Trial.” In this installment—“What Works? The Constitution,” from February 15, 1999—Schell, who had extensively covered the Watergate scandal twenty-five years earlier, laid to rest any comparisons between Clinton’s crimes, such as they were, and those of Richard Nixon. In most respects, the impeachment of President Bill Clinton—now destined to go on for yet more weeks—is different from the proceedings against President Richard Nixon a quarter-century ago. Nixon was accused of abuses of the power of his office. You had to be President to bomb Cambodia secretly, to use the IRS to harass your political enemies or to ask the CIA to squelch an investigation by the FBI. Clinton, on the other hand, is accused of violations of law in his individual capacity. It is within the power of almost anyone to fool around at the office, to invite a colleague to dissemble about the affair in court or to ask a friend to do the lover in question a favor. The historical circumstances were different, too. In the immediate background was the cold war, in whose name the presidency had accumulated powers that Nixon used to break the law. The question before the country was whether to embrace this “imperial” presidency or to restore the constitutional balance, and it chose the latter. Today, by contrast, one would be hard put to name any large public controversy that is going to be settled one way or another by the impeachment trial. If anything, the trial has created fresh issues (mostly regarding abuse of the impeachment power itself) rather than resolved existing ones.